Chronic exposure to inorganic arsenic creates various health problems. Ixora coccinea flower extract was investigated for its ability to protect against arsenic-induced cytotoxicity and genotoxicity in CHO cell line. MTT assay confirmed the efficacy of the extract in ameliorating arsenic-induced cytotoxicity. The value (48 mM) of 24 h inhibitory concentration (IC50) of sodium arsenate for CHO cells was obtained by MTT assay. Various free radical scavenging assays like DPPH, ABTS and nitric oxide scavenging assay confirmed antioxidant activity of the Ixora coccinea flower extract. Pretreatment of the extract significantly inhibited the arsenic-induced DNA damage (p < 0.01) in CHO cells. The extract administration significantly (p < 0.01) inhibited the intracellular ROS and depolarization of mitochondrial membrane induced by sodium arsenate. Ixora coccinea flower extract reduced oxidative stress in cells. Antioxidant enzymes like catalase and SOD activity was restored significantly (p < 0.01) in pretreated CHO cells. Ixora coccinea flower extract also exhibited the anti-apoptotic potential by decreasing the percentage apoptotic index (p < 0.01). These results may expand the applications of Ixora coccinea flowers as an alternative food with antioxidant properties and protective functions against arsenic (iAs) induced toxicological effects. 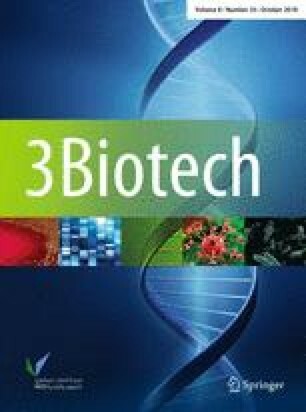 The authors are grateful to Dr. Satish Rao, Professor of Radiobiology division, School of Life Sciences, Manipal Institute of Technology, Manipal College of Pharmaceutical Sciences Manipal Academy of Higher Education for providing laboratory facilities.